caroline beaton 7th July 2017 No Comments on A decade of Kenyawi Kids! In 2017 we are celebrating 10 years of official operation as Kenyawi Kids charity! 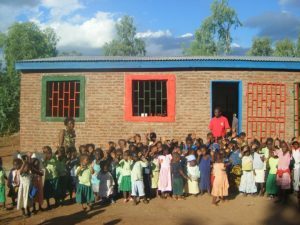 Established in 2007 following the most incredible year spent at Yamikani House children’s home in Malawi (2005-06) we could never have imagined that ten years later that our fantastic family, friends and donors could have supported us to raise over £150,000! We have had a great impact working hand in hand with our 6 project partners and I’d like to take this opportunity to share them with you to remind and thank you for continuing to support us! We have aligned our core values with our partner Chimembe (COCO). Our core values are mutual respect: we believe that all people are equal and should receive the respect they deserve as human beings no matter their current conditions and humility: we approach our work with humbleness knowing that every human being has a special role to play to uplift their lives. Yamikani House was the reason Kenyawi Kids was born. 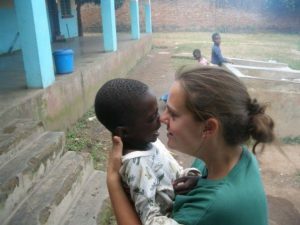 I spent a life-changing year volunteering with Abby and the beautifully brilliant 24 children. Upon return to start university there were so many requests to continue supporting the children with school, medical and food needs that we came up with the idea of sustainable orphan care to reduce the need for continuing international support (when working all hours in a hotel to cover their costs at age 18 is not sustainable!). 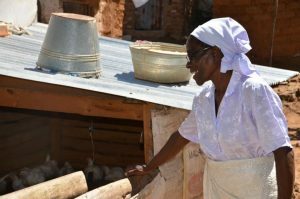 Since 2005 we have supported Yamikani House with the development of crop growth, goat and chicken rearing, permanent repairs to the house to name some examples. I was privileged to take on the role of Director at the home whilst back living in Malawi from 2011-2014. Our commitment and determination has paid off and we are utterly bursting with pride that Chrispine Master (Dickson!) is graduating this year with his diploma in Travel and Tourism Management from the Malawi Institute for Tourism. He identified tourism as a great way to get more people involved in Malawi and to showcase the beauty that his gorgeous country has to offer! We can’t wait to see him thrive- Go Chiri Go! 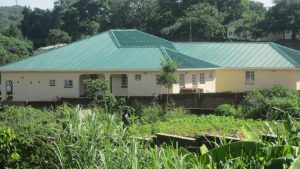 Maziban’go was our next major project partner and in 2008 they completed the built of their nursery school as part of the community development plan with funding from Kenyawi Kids. The nursery school is run entirely by local volunteers under the watchful eye of Reverend Danger (Yes!) and the building accommodates grandparent support groups in the afternoon, many of whom are the lone carers of their grandchildren. They knit hats for the children at the local primary for the winter, sew uniforms on sewing machines provided by Kenyawi Kids and use the profits raised from this venture to feed the children two meals a day in the nursery education programme. 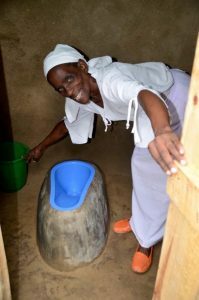 We are so pleased that this centre is being run so effectively and as proof that projects can be completely self-sustaining! 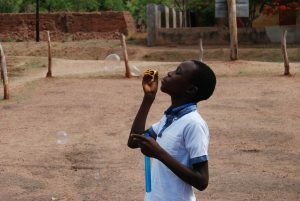 Chimembe Orphan Care Organisation (COCO) based in Blantyre and run by the incredibly fun loving Sonia Chumachiyenda. It’s impossible to so find yourself in stitches when spending time with her! We have supported her nursery programme and a startup chicken project since 2009. I was rendered totally speechless (hard to believe!) 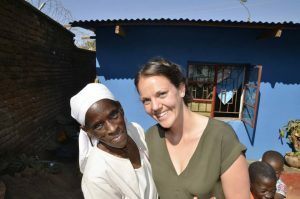 when I went to visit two years ago and discovered she had used the income from our chicken project to move out of her rented accommodation and into her own house that she’d built for her and the girls she cares for- incredible and another reminder that a simple concept such as chicken rearing does so much more than fund school fees- Alan Sugar needs a word with our Sonia! She has also been able to employ Grace as a teacher in the nursery to allow her to focus her efforts on developing her income generating activities. I should also add that she is hosting a UNICEF model toilet in the township of Chilomoni! 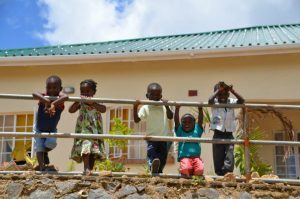 aintains the day care centre, installed a playground for the whole village to access and we proudly fund the Chembe Hunger drive annually as it is just too tricky to grow maize in the dry, sandy conditions of the Cape Maclear peninsula. Catch the Fish is located in the same village of Chembe- Shakespeare Lamion runs a fantastic and truly grassroots (or shore side?) organisation that supports local children who may not choose to follow in their fisher parents’ footsteps. He is a great artist and teaches the children to recycle old magazines to make jewelry, paint and make bracelets in their time after school. 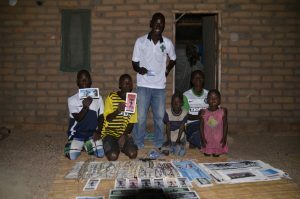 He then sells what he creates to fund fresh materials for teaching the children to ‘catch’ their own ‘fish’ later in life, all the while ensuring education is at the core of all he does. Step Kids Awareness (STEKA) has been closely supported by Kenyawi Kids since 2011. We have worked in partnership with Godknows and Hellen to build a purpose built house in Nyambadwe disctrict of Blantyre where we originally intended to limit the home to 40 children to enable Godknows and Hellen to maintain a family rather than institution orientated environment but in 2017 they have an ever growing family of 64 children who have been orphaned, abandoned and abused on the streets. Of all our projects, this house really does feel like home! We have continued to work on sustainable ways to reduce the cost of raising so many children in the home. Some examples of our projects are: purchase of land for house build, installation of solar panels on the roof, water tanks and towers for reserves, land purchase for a vocational skills centre,and this year- a solar powered groundwater pump. 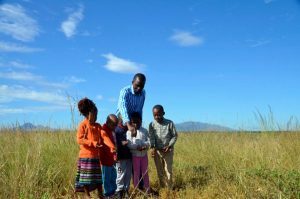 The every growing family at STEKA means increased costs and Kenyawi Kids are committed to supporting Godknows and Hellen to maintain their wonderful Maseko family.